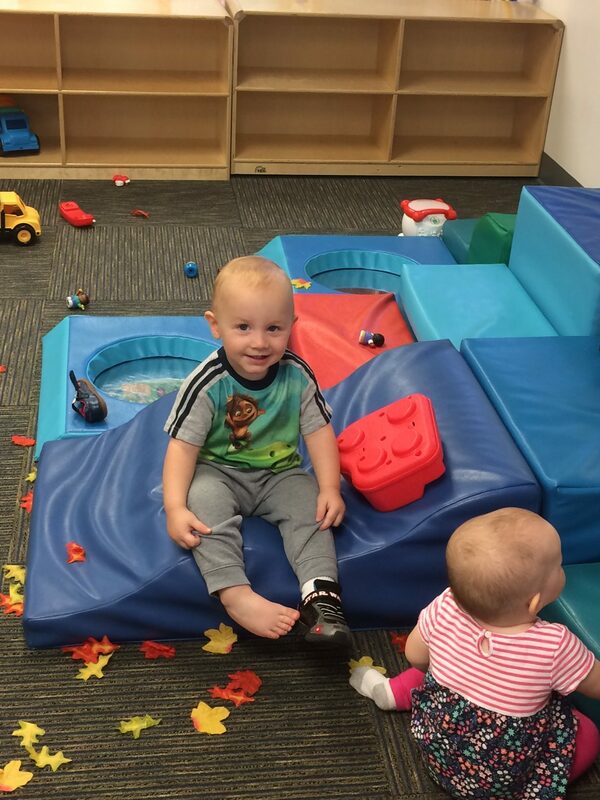 The Adventurers staff cares for 14 toddlers from 18 to 36-months-old. Staff follow the daily routine which includes morning sensory activities, small group skills instruction, large-group circle time, outdoor play or gross motor skills in the gym, self-help skills in feeding times (morning snack, lunch, evening snack) and toilet training. Afternoon routines include outdoor play or gross motor time, music and movement, story time and playtime at centers. The Adventurers classroom opens at 7:15 a.m. and closes at 6:00 p.m.
A Pioneers classroom opened in September 2006. Pioneer staff care for eight children ages 2 1/2 to 3 1/2. The purpose of the transitional program is to prepare toddlers and young preschoolers for their first "preschool experience". This small group setting allows for confidence building, problem solving skills attainment, consistency with potty training, and development of attention span necessary to successfully participate fully in the academically based preschool program.